Risottos seem to have a strange reputation as a phenomenally difficult dish to cook and I’m not really sure why. 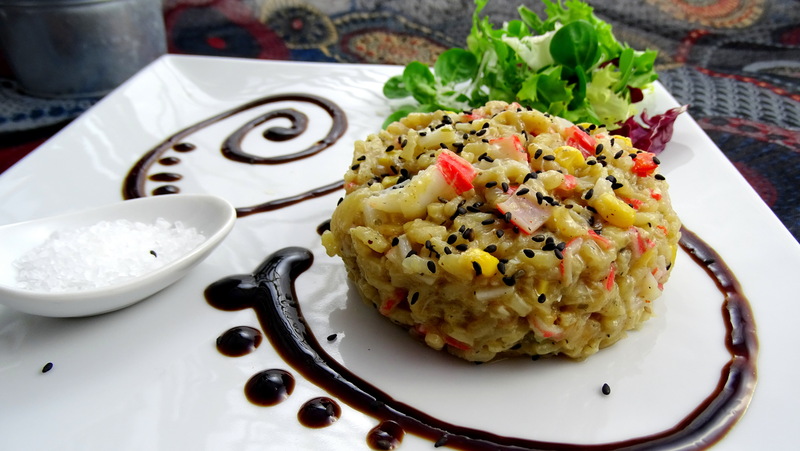 Granted, a restaurant critic might be a stickler about the precise consistency but quite frankly – besides the somewhat attentive stirring needed – risottos are wonderfully easy and versatile dishes that are particularly good for feeding a group of people. And for the most part, it only requires one pan so very little clean up! 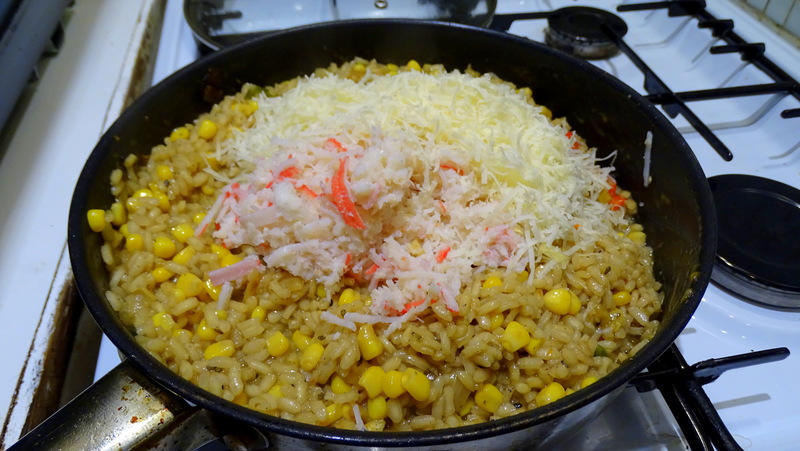 For this particular dish I used tinned crab. Quite frankly, unless you’re eating the crab from the shell I see very little reason to splash out on the fresh stuff. The tinned variety maintains that gorgeous sweetness and is far less fiddly. Plus, it’s getting mixed into the dish anyway so the texture isn’t too vital (although I did opt for two different types to ensure I got a few chunks). Additional vegetables – I went with sweetcorn. 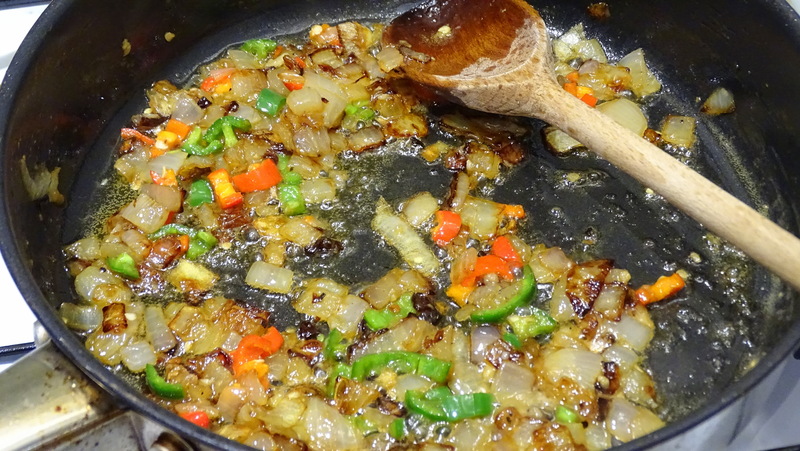 Melt a decent chunk butter in a large pan and gently fry your chopped onions until transluscent. Add a little salt to help with this. After a few minutes add your chopped chilis and continue to fry for a minute or two. 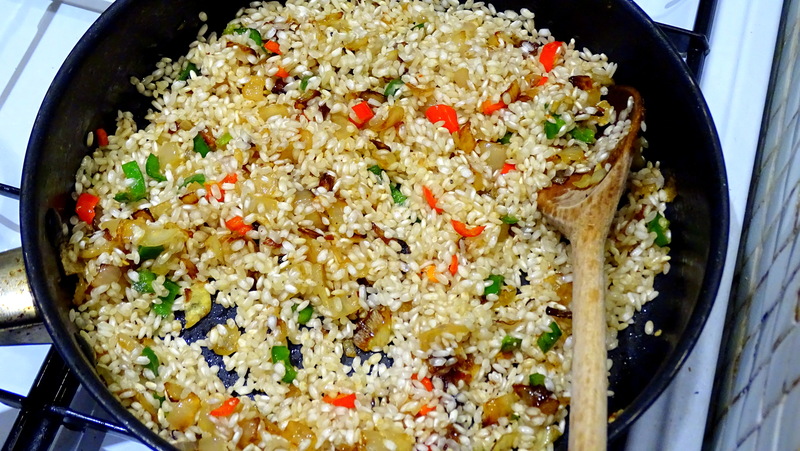 Add your rice and ensure each grain is coated with the butter, and heat gently until the grains have turned mostly transluscent but not brown. Pour in around half a glass of wine for every 2 portions you’re making and stir through, allowing the mixture to become thick as most of the liquid has evaporated. From here it’s standard risotto procedure. 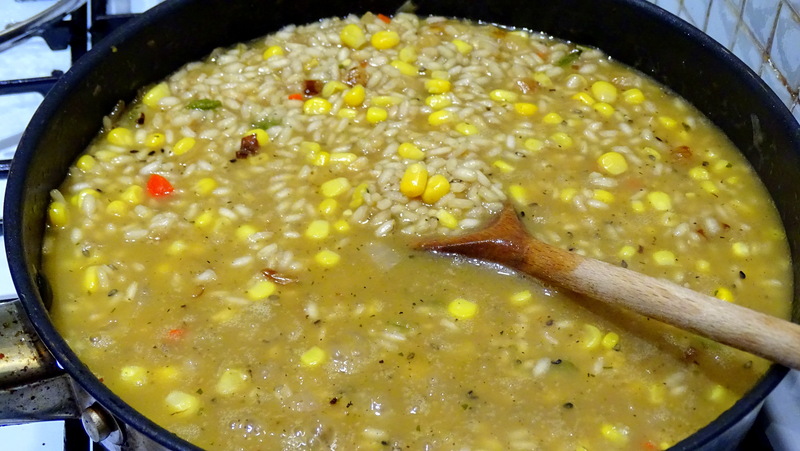 Add a ladle of stock, stir through until it’s been absorbed then repeat until the rice is done to your liking. With the last ladle add your crab meat and stir through, along with any other vegetables (precooked) you may want. Grate in a few tablespoons per portion of parmesan and stir through. 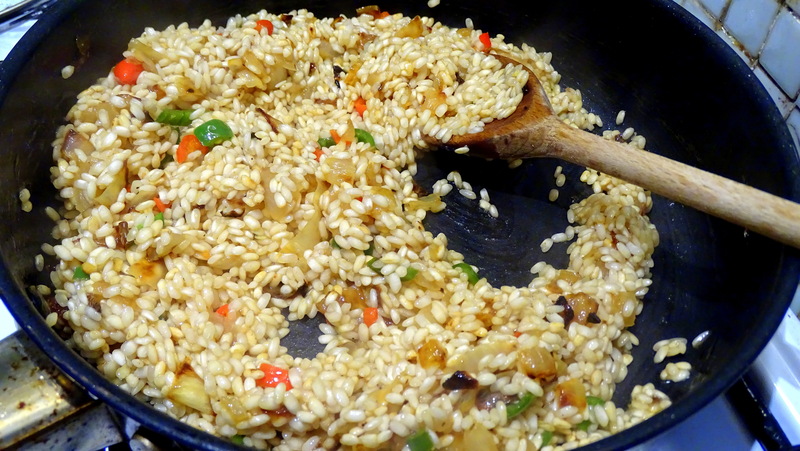 This will help the risotto reach its final texture but will also provide important flavour and saltiness. Don’t add any additional salt until after this step. Taste, adjust flavours – add sugar if the sweetness of the crab is being overpowered, add vinegar/lemon juice if it’s a little too flat, and salt if it’s a little too bland. Balancing act – you’re the boss. Some go for a bowl – I like mine standing tall on a flat plate, with a little side salad and some unnecessarily flamboyant balsamic. Why? Because every day can be gourmet if you sell your soul to balsamic glaze. Posted in Fish, Guesscipes, Mains, One PotTagged carbs, chili, cooking, crab, food, guesscipe, healthy, pescatarian, Recents, recipe, Rice, risotto, seafood, spicy, summerBookmark the permalink.